Latest look at the March 2019-due One Piece game. Bandai Namco debuted the opening movie and fifth trailer for One Piece: World Seeker at Jump Festa 2019. 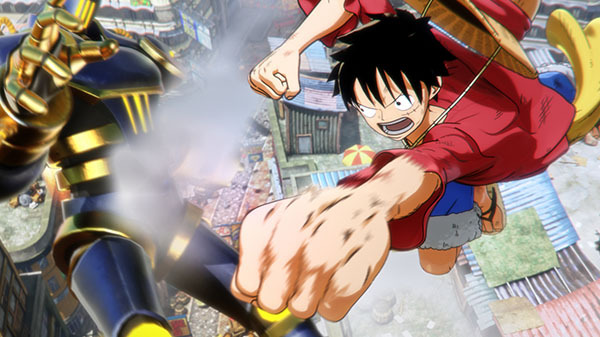 In One Piece: World Seeker, players control Monkey D. Luffy as he explores Prison Island, which was devastated by war several years go and has begun to be rebuilt under the watchful eye of the Navy. Players will take on missions from island inhabitants and grow Luffy’s skills to take on more challenging opponents and situations. One Piece: World Seeker is due out for PlayStation 4 on March 14, 2019 in Japan, and for PlayStation 4, Xbox One, and PC on March 15 in the Americas and Europe. Watch the videos below. View a set of stills at the gallery.